Skin is the largest organ in the human body and absorbs almost everything that you put on it. When you think about it that way, it's scary how many chemicals and unknown ingredients seep into our bodies by way of beauty and skincare products. That's why most of the time I try not to think about it, but that's not the case with the folks at Consonant. "What you put on your body, you put in your body" is the motto behind this Canadian organic skincare brand. 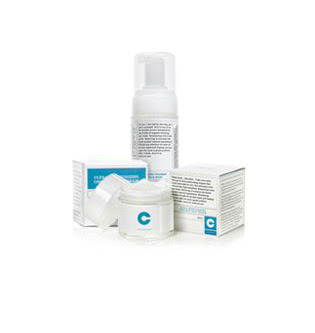 Made with 100% organic natural ingredients in high concentrations, Consonant's products promise younger, healthier skin without the use of chemicals. They also claim that their gentle formulas (free of irritants and artificial fragrances) are suitable for even the most sensitive skin. Through the generosity of BeautyMark, I was able to test these claims for myself via Consonant's 30 day skincare challenge: use their products for 30 days in place of your normal skincare routine and see if you notice a difference. So how did each product stack up? The Ultra Moisturizing Organic Face Cream ($54) turned out to be a rich, effective moisturizing cream that didn't irritate my skin, cause breakouts, or clog pores. I like to use it at night mostly, but on some days when my skin felt particularly dry I'd smooth a tiny bit over my face before putting on sunblock. Likewise, the Ultra Moisturizing Organic Eye Cream ($36) was an effective moisturizing eye cream that kept undereye dryness at bay. Consonant recommends using this as a nighttime eye cream and I agree. It can be a bit greasy under mascara and eye makeup. By contrast, the more lightweight Ultra Firming Organic Eye Cream ($36) was perfect for daytime use as suggested on the box. It absorbed quickly into the delicate skin around my eyes with minimal oiliness and didn't make my mascara smudge or my concealer rub off. I liked how this eye cream smoothed out the minuscule fine lines under my eyes. It even seemed to reduce undereye puffiness in the mornings as promised. I'm usually suspicious of cleansers that claim to be gentle and effective, but the Organic Foaming Face Wash ($18) defied my skepticism on both counts. The foaming pump dispenser created a good lather out of the liquid face wash without using sodium lauryl sulfate. Although the bottle instructs you to use several pumps, I found that one and a bit was more than enough to sweep away the day's makeup. The only product I was disappointed with was the Organic Body Lotion ($22) in a citrus bergamot scent. The formula itself is great: a natural invigorating fragrance, a moisturizing lotion that absorbed quickly, lasted all day, and didn't feel greasy. The problem is the pump dispenser, which simply isn't powerful enough for the thickly-textured lotion. Right now I have about 1/4 of the 250 ml bottle left that I can't get to because it's at the very bottom. Perhaps an upside-down squeeze bottle might be better. Don't let the price tags deter you. I found that a little went a long way for each product. After using them for the last month, I still have 3/4 of the face wash left. The face and eye cream jars are still almost full. As for my complexion, it does seem to be softer, brighter, and more even-toned. My skin feels moisturized and healthy, and I experience fewer days of puffy dark undereye circles than usual. The 30 day skincare challenge may be over, but I'm definitely impressed enough with these products to continue using them in the colder months ahead. If you're in Vancouver, visit BeautyMark to see, try, and purchase Consonant skincare products in person, or check out Consonant's website. Thanks again to BeautyMark for letting me try this line! I've been looking for a nice eye cream.. you can never start too early with the anti-aging regimens! The Ultra Firming Organic Eye Cream sounds interesting. Great reviews! since you've been saying such nice things about beauty mark I may have to go check them out. they aren't just an online store right? I can' actually go and check out their store yes? I just put some regular moisturizer under there and call it a day. I heard somewhere that eyecreams are not any different from creamy moisturizers, just more expensive and you get less of it. shortwidenails, they have a brick-and-mortar location in Yaletown. You're so right -- it is scary to think of what we absorb into our skin. I need to check out some organic products. Stat. would you say theirs is one of the best eye creams you've tried? i find that some that i've tried don't really make a difference. i know, it won't help if i don't sleep either lol but even so, some seem to moisturize more than decrease dark circles. thx for the awesome review ! 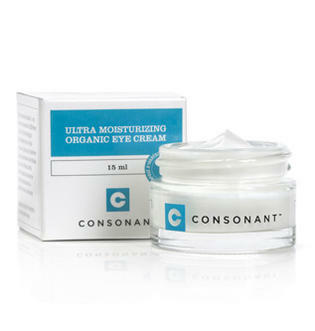 I have a sample of the Ultra Firming Organic eye cream and I love it to pieces. It works wonders. When I run out, I will most likely buy the full size. I loved these products too. I agree with the lotion bottle design -- that pump is fussy. I'll post my review next week. FB, I think there's still a lot of debate over the benefit of eye creams compared to regular moisturizers. The Beauty Brains (beauty bloggers who are also scientists) sum up their pros and cons pretty succinctly here: http://thebeautybrains.com/2010/04/25/do-eye-creams-really-work-2/ I definitely notice a difference between using regular moisturizer and an eye cream. Dummeow, sleep is obviously the best cure for dark circles! I think asking an eye cream to make you look daisy fresh without any need for concealer after an all-nighter is asking too much. That being said, Consonant worked well at reducing the intensity of dark circles and puffiness. I looked pretty good before doing my makeup in the morning and sometimes skipped it altogether. Since everyone's skin is different - and personal preferences on products come into play - it's good to read as many unbiased reviews of skin care products as possible. Their stuff sounds amazing! I can't wait to try them out. I def have to agree with your review (as I'm still in the midst of writing my own! 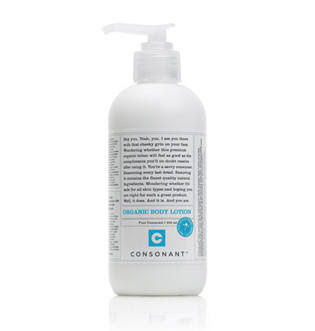 ), Consonant Body has a great line of organic skincare products that are gentle yet effective. I esp love the citrus bergamot scent of the body lotion, but love that all the other products were fragrance-free!